Gardner ran fairly well during his sophomore campaign, but he didn't improve that much with his times from freshman year. Gardner trailed off a bit taking 76th place with a 15:19. Up until the state meet, Gardner's lowest placement was 4th so expectations were high for him. Gardner obviously was displeased and channeled his anger into the track season and laid down some great times on the oval. His best race was at Distance Night in Palatine where he took 6th place with a 9:11.95. 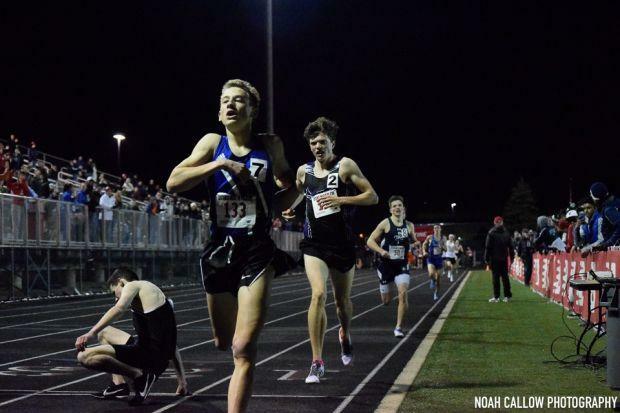 That really raised some eyebrows as he was at the time ranked top 10 for Sophomore 3200m runners. Gardner raced well at the Homewood-Flossmoor Sectional taking home the 3200m crown. At state, once again the pressure got to Gardner as he ran a 9:30.69 to take 17th. I think Gardner is a great runner, but pressure gets to him and he cannot be an elite runner if he cracks under pressure. I'm hoping he reads this as I want to give him some advice. Don't think about your race before you run. I believe you are psyching yourself out and that is not good as you enter your junior year.